Making Kinesthetic Sense provides theoretical and practical guidance on teaching creative dance, particularly in educational settings. It is both a textbook for education courses and a resource for current teachers -- both dance and nondance teachers. The authors speak from a passionate, lifelong commitment to arts education and over twenty years of experience as dance specialists in elementary schools and community settings. The authors' approach is heavily influenced by Barbara Mettler, Margaret H'Doubler, and Rudolph Laban, all legendary figures in the field of creative dance. Their theories are combined with the authors' own insights to explain dance theory in common language; provide methods of linking movement to academics; offer many ready-to-use, well-tested lesson plans, guide readers into building and presenting lessons of their own; and validate dance as art education. The National Standards of Learning (Goals 2000: Educate America Act) include dance as one of four artistic disciplines that students are expected to study. This commitment to the art of dance as part of the core curriculum is affirmed in the No Child Left Behind Act of 2002. Even so, dance is commonly absent from the educational environment. This text explains how teachers can tap into this rich modality of learning and utilize it for not only for fitness, but also for developing individual and group problem-solving skills. The text will help teachers clarify the abstract concepts of creative dance so that they can draw upon their students' profound bodily-kinesthetic intelligence. Teachers will also learn how to link movement activities to academic subjects. 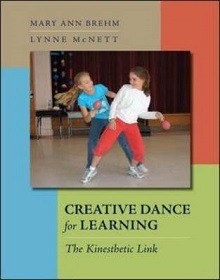 As a comprehensive teaching guide, Making Kinesthetic Sense addresses the "what", "why" and "how" of creative dance. Plentiful examples from classroom experience illustrate how movement can be used to help students learn concepts, solve problems, and understand a subject. Important progressions are outlined for transforming guided explorations into concrete forms. A sizable section of lesson plans reaches all subject areas and are adaptable to a wide range of age groups and settings.